“NXP has a deep understanding of NFC and we are working with them to deliver the right hardware, software and support to bring this technology to our partners, developers, and ultimately the consumer,” says the software giant’s Aidan Marcuss. 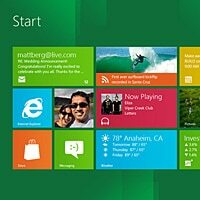 Microsoft has chosen to work with NXP on the development of NFC support in Windows 8, it has been revealed. NXP says it has collaborated extensively with Microsoft to develop an NFC driver for Windows 8 that enables a variety of NFC use cases. NXP has configured its PN544 NFC controller chip to support Windows 8 and also revealed it is supplying the NFC solution used in the Windows 8 tablets, made by Samsung, which are being distributed to attendees of Microsoft’s Build Windows conference, taking place in California this week. “Developers and computing equipment manufacturers can take advantage of NFC support for Windows 8 to offer a wide variety of consumer and enterprise use cases such as offering promotions, coupons, and discount codes via NFC tags and posters; bringing physical touch points to online social networking for enhanced check-in experience; perform surveys and brand reviews; add NFC-enabled tokens to unlock or enhance a gaming experience; and, enable content delivery in document, audio or video format,” says NXP.